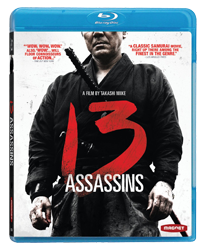 Cinematic Autopsy: "13 Assassins (2010/Blu-ray/Magnolia Home Entertainment)"
"13 Assassins (2010/Blu-ray/Magnolia Home Entertainment)"
Synopsis: To stop a tyrant from murdering and exploiting innocent civilians, 13 samurai warriors unite and prepare to end his life. But to kill the evildoer, the assassins must contend with an army of deadly bodyguards who outnumber them by a wide margin. 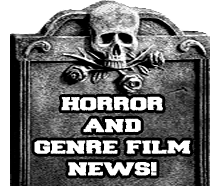 Review: Ever since my first encounter with the films Audition & Ichi The Killer I have been such a big fan of Takashi Miike and in fact those are the 2 films that opened my eyes up to the world of Japanese and Asian films outside of watch Godzilla films as a child. To myself Miike has always been able to tell a tail gracefully along the side of scenes that don't hold back no matter how graphically violent they get. Now are his films perfect, in some senses they are. Now what we have here from Takashi Miike is a remake of the 1963 film "Jûsan-nin no shikaku" which sadly I have not had the chance to watch, but after watching Takashi's remake of it I will surely hunt a copy down! Most would think that going into this film that it would be more of an action film and less of anything else but those who think that would be wrong because you actually get a film that is more split into 2 parts, the first being drama that leads it's way to into action that is comprised of one of the most epic battle scenes that I have seen put onto film in quite some time. Now the only flaw I found in this film was some of the writing,other than that I found this film perfect. When it comes down to the core characters I simply loved the performances done by the actors portraying them, each one of them took their acting to the next level and really made me buy into what they where there for and trying to accomplish. Now the one that stood out to me the most was the character Koyata who in ways brought little bits of humor to a film such as this that for the most part is pretty straightforward and serious. His lines that he spurts while fighting the samurai opponents was simply hilarious. Now the only character to really go to the point of almost being unbelievable was that of Naritsugu, he just seems unrealistic at times, but really redeems himself in the film when his true colors really show towards the end of the film. When it comes to the cinematography I was simply blown away by the look of the film because it has this down and gritty beauty to it that really helps to enhance the atmosphere of this film to the point of it being nothing shy of amazing in my opinion. The sets and the props stay very true to that of real samurai artifacts. Overall this is a great Takashi Miike film that is destined to become a classic along the side of films like "Seven Samurai" & "Samurai Rebellion"!